I have a case of a family having a complex relation. I looked at some pedigree templates to draw this, but I can't. Husband was married to Wife who passed away after three years of marriage. Now the husband marries the sister of the previous wife. 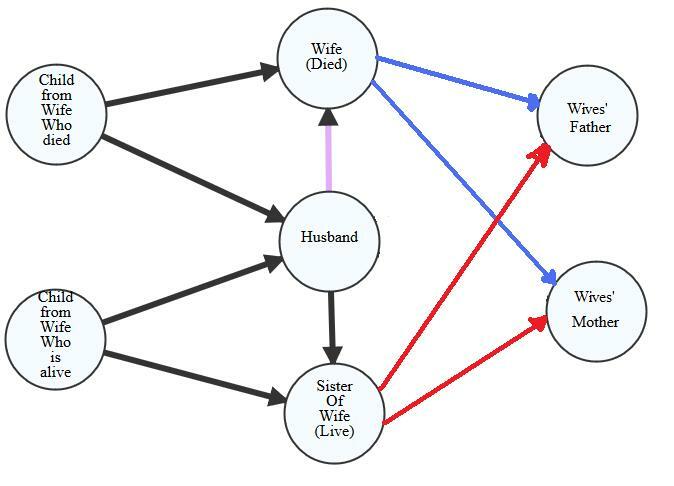 What type of graph/tree I should use to draw this relation? Should I not use pedigree because they can show ancestors and descendants only? As in most diagrams, the keys are the labels and the connections. Sometimes shapes are evocative of the concepts they contain, but that's creative choice. Hopefully, this is what you are trying to visualize. Not the answer you're looking for? Browse other questions tagged chart-type pedigree or ask your own question. Is there a chart type that shows myself, a chosen ancestor, every intervening ancestor and their siblings? Gifting research to family members - What kind of generation chart? How should I deal with different alphabets? 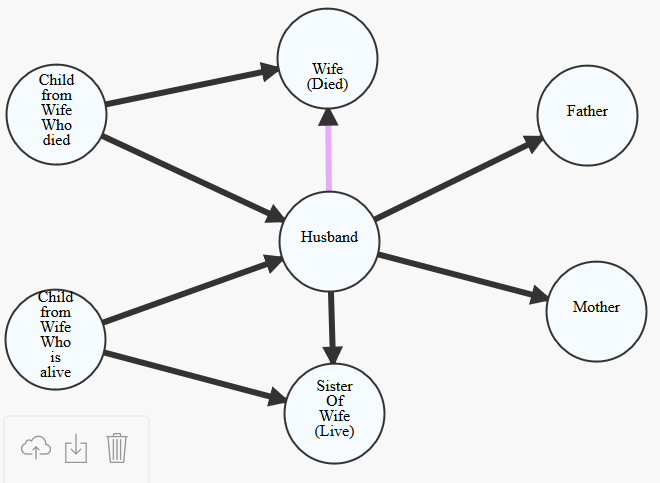 Should brothers and sisters be added to family tree diagrams? Charting all cousins, all aunts, all uncles to degree (all living family in all lines to degree)? Making family chart with everyone in it?